Please turn off all electronic devices prior to attending your class. Please leave your bags and extra clothes/items in the lockers provided in the changing rooms. This will keep clutter from the rooms and ensure a more peaceful practice for all students. Strong scents i.e. perfume; many people are sensitive and/or allergic to artificial scents. Please be careful when using them, especially before a class. Please try to come early for your class! If you can, come to the studio 10-15 min before the class to give yourself time to settle yourself and allow you to begin your class with a sense of calm. Late arrivals: Your are welcome to join your class no later than 15 mins after the class begins, please enter quietly. If you must leave before the end of class please inform your instructor. Please note the expiry date on your pass. 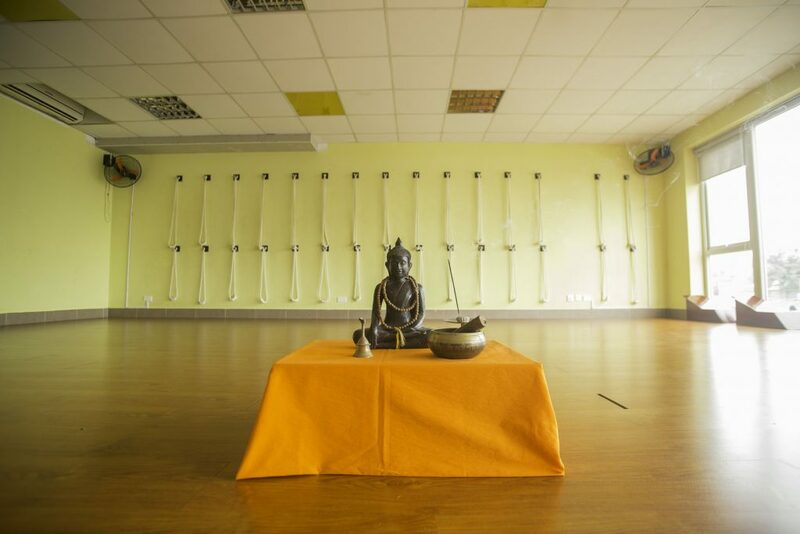 You can freeze the pass free of charge for the first time up to one month, if clients fail to notify Zenith yoga studio in advance, the membership will expire. Starting from the second extension, a fee of 20$/month is requested. Applying for normal classes on the schedule, the class pass fee is NOT including for workshop, events or special sessions. There is a wide variety of equipment provided, your teacher will let you know what you need and how to use the props. Mats are available for hire from reception, although we encourage you to bring your own mat. You can also buy mats and props and other items from reception. Please pay for your class in USD or VND, cash only. Unfortunately we do not accept credit cards. The studio cannot give refunds on any purchases. Upon course confirmation by the participant, 25% of the total amount should be made deposit to secure the place. This amount is NON refundable in the event of cancellation by the student. 5 days prior to the starting date of the workshop, full payment should be made to Zenith Yoga. In the event of payment not being received by Zenith Yoga 5 days before the workshop date, your booking may be cancelled and the deposit will not be refunded. If the participant wishes to withdraw from the workshop 48 hours before event date, 50% of the amount will be refunded. If the participant wish to withdraw in less that 48 hours and 12 hours before event date 25% of the amount will be refund. Less than 12 hours or No show, no refund will be made. Note: In case of teacher training courses, the above policy does not apply.